Just pick your furniture up and move yourself in. Ideal first time buyer home. Property has been well maintained throughout by current owners. 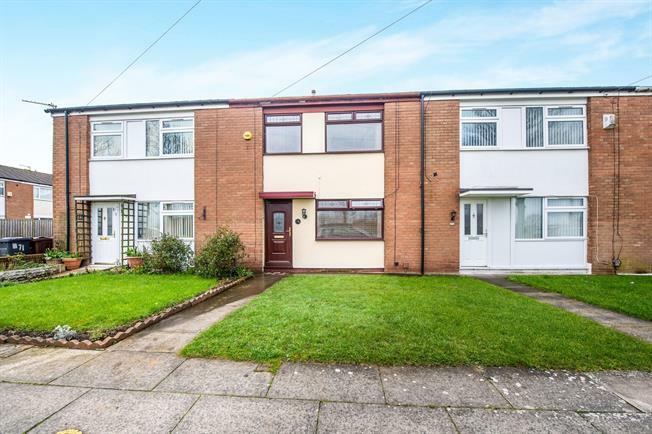 Briefly compromises of spacious entrance hall, lounge benefiting from a fireplace and kitchen/diner. To the first floor there are three bedrooms and a family bathroom. Master bedroom benefits from built in wardrobes. Gardens to front and rear. Double glazed uPVC sash window facing the front overlooking the park. Gas fire and single radiator, laminate flooring, chimney breast. Double glazed uPVC sash window facing the rear overlooking the garden. Double radiator, laminate flooring. Granite effect work surface, built-in units, stainless steel sink, integrated, electric oven, gas hob, overhead extractor, space for dishwasher, space for. Double glazed uPVC sash window facing the rear overlooking the garden. Single radiator, tiled flooring. Standard WC, roll top bath, electric shower, vanity unit, extractor fan. Double glazed uPVC sash window facing the rear overlooking the garden. Single radiator, laminate flooring, a built-in wardrobe. Double glazed uPVC sash window facing the front overlooking the park. Single radiator, laminate flooring, built-in storage cupboard. Double glazed uPVC sash window facing the front overlooking the park. Single radiator, laminate flooring, a built-in wardrobe.